Discussion in 'General Gaming' started by Stevie Goodwin, Sep 29, 2018. Lately, I had original copies that were skipping and had disc rot and major scratches. I burnt some copies of Tony Hawk's Pro Skater, WWF Attitude, and Pepsiman which is an import with Verbatim CD-R's. I burned my copies with Imgburn on 2x with a laptop with Windows 10. And appears my games work correctly so far. Also i used an original SCPH-1001 model which is one of the early ones made August 1995 that allow the Swap Trick in the CD Player since it's much easier. Burning at 2x is a myth and old outdated information. So is CDR's killing your laser. if they work, dont worry about it. Your poll - its obviously genuine TY. But that doesnt mean you have to buy them. 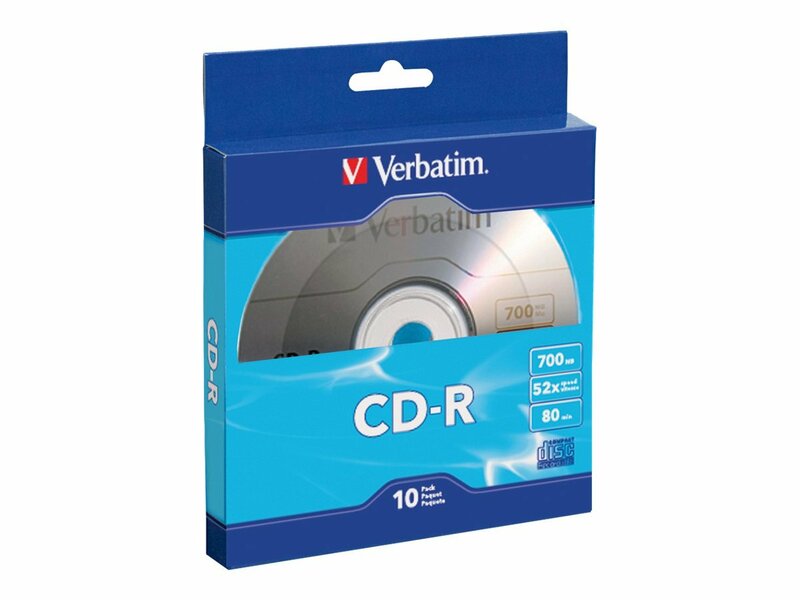 There's more brands of CD-R than those 2 you just listed. I think overall Verbatims are good, but I did have one weird batch I got at some discount store years ago that were absolute garbage (would read in some machines and not others). Ended up just chucking them. Anyways, I would take Bad's advice that if it's working, don't worry about it. I've used verbatim since I first started copy ps1 stuff in the 90s, I have games that are years old that still work. I genuinely dont know why people are voting anything other than TY - they are indisputably the best (which the poll asks). However, verbs can be good... depends on which dye and where they are made. Some are made in India and are terrible. If you can get the good ones - theres little reason to get TY over them. Back in the day, you could get Maxell and Fujifilm (and no doubt countless others) that were TY discs just rebranded. As I have said a number of times - this is a complicated subject and without checking the media ID of the CDR, you have no real idea of what you are buying (lets not get into people spoofing their media ID to make it look like its good quality!). The biggest problem with Taiyo Yuden discs is that they aren't being made anymore, and haven't been for about 2 years. Their CD-R patents are now held by CMC magnetics, who I have to admit are hardly at the top of the list when I think "reliable optical media producers". Verbatims are also sort of hit and miss now - at one point, if you got Verbatim discs in Japan they were all made by Mitsubishi kagaku, and were reliably good media, but increasingly they aren't. They still seem pretty reliable if you get the locally produced ones (look for "日本製" on the label), but Verbatims purchased outside Japan are all over the place. The goal is to make a good burn, which results in as little noise/jitter as possible when the target (the PS) reads the disc. You would need good media, as well as a good writer that would support the media. It is for this reason that @Bad_Ad84 suggested in other threads that using an old writer with modern discs may not work so great. Neither is burning at a low speed necessarily the best way either. An easy way to see the code, is to insert one of the discs into your drive and access any of Imgburn's modes. The manufacturer ID will be displayed within the information panel on the right. Some of my Kodak Gold (and silver) Ultimas still work great - from 1998 and are only 650MB!